Every day more and more women are getting into professional lives and getting more recognition in senior management, corporate sales, business litigation and similar job profiles. 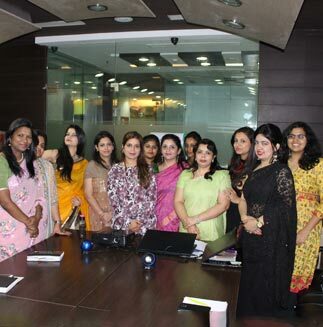 More than that women entrepreneurs are making it big in a variety of industries. These women come from diverse strata of life, education, and upbringing. Irrespective of their origin they have the talent to make it to the creamy layer of society and profession. 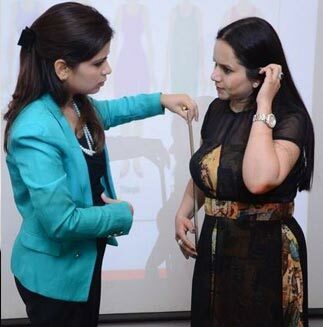 Now, this is where our Professional Styling Service for Corporate Women and Ladies with startups comes into limelight. What does this Professional Styling Service have to offer Corporate women? Image management is understanding yourself better and creating a more appropriate, attractive and acceptable presentation of yourself in an affordable way which results in a noticeable boost in your confidence, credibility, and productivity. We help you in building a positive body image so that you become more confident the way you are and are less worried about changing yourself unnecessarily. Look at the women in power these days, the politicians, the CEOS, and the Social Icons. They have their own style statement irrespective of their age, physique or industry. Fashion is not limited to Bollywood anymore. Professional women are making more waves today and getting admired for the same. In this segment, we learn how to pick the right outfits for the right occasions that match our body type and to do it quickly ourselves. Wardrobe management, shopping the right stuff according to your image is what you will learn. We help corporate women create a power wardrobe for work or office. We build upon the right kind of formal colors and styles to look professional, knowledgeable yet approachable. This is also done as per your profession and designation at the workplace. It is very important to appropriately dress and groom in professional scenarios. Personal Branding is the need of the hour. Our visual impression eventually creates the impact that helps in giving a winning image of our business and further strengthens the trust of the client on us. We also help women look impressive and formal in Indian attire, where we cover Saree Etiquette and Salwar Suit Etiquette. We help you source & understand formal accessories that go well with your formal wear including shoes, bags, watches, and jewelry. 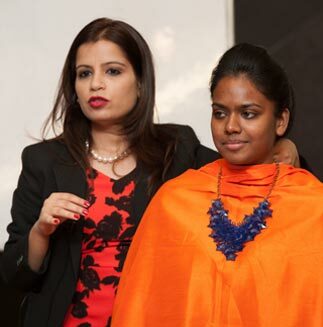 In this segment you learn, what how to makeup effectively for office daily. Quick and professional makeup gives you the right attention you desire at meetings and workplace. With the right knowledge of beauty equipment, makeup kits, & skincare tips you can achieve excellent results. We shall also cover the makeup requirement for office parties and gala events where you need to bring out the beautiful woman in you while still remaining a professional business person. Generally, working women have very little time to change hairdos every day. So most of us either keep the same hairstyle or alter between two or three different ones. But with the right grooming advice, you can make yourself more noticeable and feel more stylish with "easy to do" and time-saving hairstyles for a professional lady. We train you to identify and understand your facial structure, hair volume, head shape and other factors to determine what style will suit you best. Further, we also show you how to plan these styles in spare time and implement then same quickly when you get ready for office. You can also touch base with us for Soft Skills training programs.